Reveals immediate cost savings by identifying unused/used applications. Analyze design complexity, dependencies & similarities of apps. Reveal ideal cloud apps. Transform bits and bytes into meaningful information! 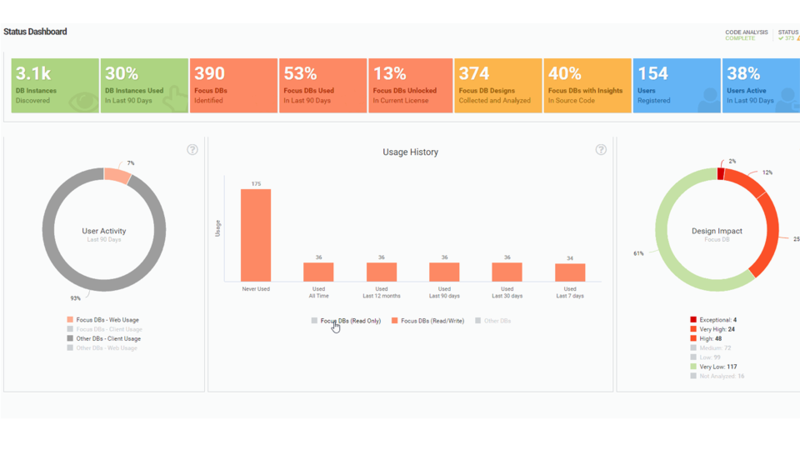 panagenda ApplicationInsights helps you find the optimal strategy for your applications! ApplicationInsights provides you with clear insights into the use of applications to identify how and whether they are used. For example: How often do specific departments use certain applications? How many lines of code are relevant, which programming language is strongly represented, and how do complexity and dependencies affect your application strategy? By linking usage and application design information, you have the perfect foundation for your project: Minimize operating costs and calculate risks and expenses into minute detail.